What's That Coming Over the Hill? 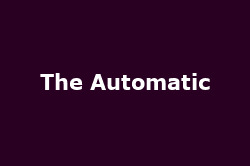 The Automatic, The Automatic!! Those dastardly Welsh 'monsters' The Automatic have outlined some plans for the next month as well as talk of their forthcoming new album. They have a tour confirmed to start next week on November 10th in Tunbridge Wells (Forum) continuing to Coventry's Kasbah on the 28th via a few stops in their beloved homeland somewhere in-between. Recent(ish) replacement Paul Mullen (from Yourcodenameismilo) will join them for the 12-night stretch and there are sure to be several airings of new material along the way. Tickets are pretty darn cheap as well - The gigs from the 25th to 28th are all under a tenner - on sale now. The band have also been completing their next album, "Tear The Signs Down", due for release in Feb 2010 and their third for the Polydor imprint, B-Unique. Tracks are due to include new single "Interstate" (out on December 6th) and "Something Else" as well as production by Richard Jackson who has worked on their previous 2 albums.